Cool toys for boys! We’ve scoured the internet to find some of the absolute best toys for boys. Sometimes it can be tricky sifting through all of the cool toys available, and let’s be honest, there are a lot of choices. We decided it be worthwhile to put together this buying guide to help you narrow down the best cool toy for boys (and even girls). We cover a wide range of toys because every boy is different. We hope you find that perfect wonderful gift for your boy. To be honest, putting together this article made me wish I was a kid again because toys are much cooler now than when I was growing up in the seventies. Shopping for a child can be a bit intimidating for some. Toys have had some major changes through the years and it may have you scratching your head. There are a lot of toys to choose from and if you are shopping for that one kid that seems to have everything, it may seem impossible. We’ve taken a look at some of the top cool toys for boys on the market today and categorized them accordingly to help in your decision making. Whether it’s for a holiday, birthday or a special occasion, shopping for that perfect gift might be overwhelming. Before you hit the stores take a deep breath and follow these tips to make the trip a little smoother. Get ideas on what he likes. If the person you are shopping for is older (pre-teens to teenagers) they’ll likely have a favorite interest in something. It may be techie gadgets, sports, or something more out of the box from the typical. Ask close family or friends for ideas on things they may like or into for a gift you know will be appreciated. They may even have ideas on something that can be given in combination with other things they have or will be receiving. Choose the store wisely. If you have in mind what you’re going to buy, be sure the store has it in stock to avoid running around mindlessly from one store to the next to find it or shop online from reputable companies. Also check the store’s return policy and include a gift receipt on the chance you weren’t the only person with the same idea or it needs to be returned. Guaranteed to please. Has motorized boosters and a giant crash zone. Shopping for a child with special needs: Sometimes shopping for the right gift comes with a different type of challenge. For children with certain special needs, some toys may not be appropriate. This is where turning to the parents or close relatives for ideas is especially helpful. Some toys are designed to help improve key motor skills or development; although, some also have a lot of sounds or lights that might not be suitable for sensitive children. Often times, simple toys are ideal. Be sure to ask first what to avoid in choosing a toy for a child with special needs. Toys that encourage imaginative play are a great way to foster your child’s creativity. These pretend play toys are a great early introduction to their real counterparts that dad most likely uses around the house. Here are some ‘man-of-the-house’ toys that will give the little guy a hands-on feel for real-life chores they may have to tackle in adulthood. Chain rotates and makes chainsaw sounds. Pretend to be a logger. Power tools and equipment are a must for hands-on guys. This toy chainsaw has many cool realistic features that are replicated from the Husqvarna 440 chainsaw to look and sound like the real thing. The chain rotates around the blade when it’s turned on and it produces actual chainsaw sounds with a push of the button. The handles are designed similarly to a real chainsaw and easy for young children to grasp. The chainsaw runs on 3 AA batteries which are included so your child can play with it right out of the box. 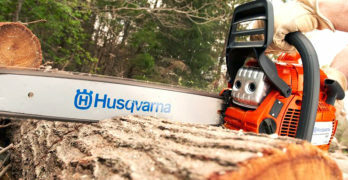 It is a rugged toy and built to last with the quality one can expect from Husqvarna. Cool toy for boys who like to pretend to be lumberjacks and simulate cutting things with no risk of injury. Children will lose themselves for hours. Some tools make realistic sounds. Includes: Workbench with Storage Trays, Miter Saw, Phone, Drill Press, Accessory Bin, Vice, Hand Saw, Screw Driver, Hammer, Wrench, 15 Screws, 5 Nails, 22 Nuts, Tool Box, Bonus Flashlight. Every handyman needs a place to store his tools and equipment and this little workshop provides just that. It features real sounds and different tool functions for their many pretend projects. The workbench has built-in tools including a miter saw, drill press, and a vice with additional tools and accessories. There are multiple storage trays and hooks to keep everything in its place. There are even plastic wood pieces with nails, nuts, and bolts that can be assembled for your little handyman to create their own tackle box. There’s also a working flashlight as a bonus. Cool toy for boys who like to build things and like physical spatial challenges. Great build quality, beautiful styling — pure innocent fun. This toy lawn mower might make you do a double take with its realistic features modeled from the Husqvarna HU800AWD lawn mower. It produces real engine sounds and lights. The pull start can be pulled up for the feel of a real lawn mower. This little lawn mower is the ideal height for toddlers and kids from 2 to 5 years of age. It’s easy to push and provides a great tool to help young walkers take off. Cool toy for boys who like to pretend to be adults and have fun mimicking us do the things we dislike — cutting lawns. All accessories fit inside grill cupboards for easy storage. Who doesn’t enjoy a fun cookout in the backyard? This neat little barbeque grill set might just put dad’s to shame with its cool features. The grill is designed like a real gas dual grill with a starter button, knobs, and a lid. It also features a side burner with hooks to hang the tongs and spatula that come with it, as well as a sink. The grill has a cupboard to store additional accessories. A hamburger, hot dog and buns are included for the aspiring pit master to throw on the grill in addition to a bottle of ketchup. It is compact in size, perfect for indoor play where space is limited or suitable for outdoors. Cool toy for boys who dream of being a chef someday. Toys that are made for riding are quite popular among toddlers. They’re often designed to help encourage gross motor skill development and just plain fun. Ride-ons are especially a hit when it comes to cool toys for boys that are always on the move. Here’s a look at some best sellers they may not own. . yet! All boys love trucks and this one is fully interactive. Very cool! A common interest among little boys include building things and trucks. It’s a very popular sought-out theme when it comes to gifts for boys. This Mega Bloks Ride On brings two popular favorites into one with a truck they can actually sit on and move around with an excavator that can pick things up. It comes with 10 Cat-themed mega bloks that can be scooped up, built up on different areas of the vehicle or stored under the seat in a convenient storage compartment. The steering wheel features cool functions and controls that make real truck sounds.This multi-tasking Cat 3-in-1 ride on keeps busy bodies active while generating fun, imaginative play and fine tuning key motor skills for ages 1 to 4 years. It’s safe to say that most boys love trucks. I know, because I loved my yellow Tonka truck toys when I was a kid. A cool toy for boys who like trucks, which seems to be almost all boys. Strange isn’t it. In all fairness, there are plenty of girls who love toy trucks as well. Batman themes ride-on. Very cool toy for boys, or girls who love Batman. ATV styling with wonderful toddler-friendly features. A sporty little ATV for thrill-seekers, this Batman Lil’ Quad by Power Wheels is one they’re sure to love. This toddler-safe 4-wheeler sports the iconic graphics of Batman with cool features like a hidden storage compartment and easy push-button start to drive. This quad sits low, ideal for tiny riders to get on and off from easily and has foot rests for comfortable cruising. The 4-wheeler runs on 6-volts of battery and goes up to 2 mph for safe riding. I wish I had one of these when I was a kid. Perfect for boys or girls. This is one of the best riding toys for boys that you will find in its class. It packs a big punch with incredible power for a battery-operated toy vehicle. The rugged 4-wheel drive tractor has an accelerator pedal and reverse. It has 2 speeds, 2.5 mph and 4.5 mph, with a lockout at 4.5 mph for beginners. It runs on a 12-volt rechargeable battery with the charger included. It is noticeably bigger and heavier than similar-type ride on toys of its kind but it’s also built to withstand the limits little boys will put it through. The tires have durable traction to ride on multiple surfaces from grass to gravel. The stake-side trailer attached makes it a ride-on with function to load up their treasures to get from point A to point B. The ground force tractor also has a built-in FM radio so children can listen to their favorite tunes while driving along. Cool toy for boys who love vehicles and being outside. Great gift to get your child outdoors. This is not your average ride on toy. This scooter is a trendy way to ride in style that combines a scooter and a bike. The EzyRoller does not have pedals. Instead, it has a foot bar that the rider maneuvers the scooter by alternating legs to swerve, sweep, and turn in a variety of motions. The EzyRoller Classic Ride-on requires assembling which it comes with the needed accessories that make it effortless. What’s really neat and unique about this ride on is how suitable it is for a wide range of ages. The foot bar extends and the seat can be adjusted to grow with your child while safe for children ages 4 to 14 up to 150 pounds. Designed to be used on flat/smooth surfaces inside our outside. Not for slopes, down hills, jumps, uneven surfaces, grass or sand. Please teach your child safety with this toy. Lots of fun if used as designed. Stylish vintage scooter for young teenagers. This electric scooter is a bit more up to speed for those over the age of 8 that like to get around in style. The Euro Electric scooter has a sleek vintage-style design with a high-performance electric motor and built-in rechargeable battery to last up to 10 miles on a full charge. The single-speed, chain driven motor can reach up to 15 mph. It features pneumatic tires and a rear-suspension system to provide a smooth ride and there’s even storage under the seat. It comes in multiple styles for guys and girls. There’s a retractable kickstand to hold the scooter upright when it’s not in use. Train sets, toy trucks, and cars have been a long-time favorite among kids, including those still young at-heart. There’s something fascinating and awe-inspiring when it comes to things that move. Here are some that might spark your interest for that special little boy in mind. They don’t require batteries because they run by the child’s action and imagination. They’re also ideal for children with sensitive needs because they don’t make any loud sounds or noises. Beautifully designed train set. Immersive and colorful. This train set and table has a lot of really neat features that are sure to engage and entertain young train lovers. It comes with 120 pieces including the train, tracks, bridges, a waterfall mountain tunnel, plus additional accessories to let their imaginations run wild. The train set table is built with a sturdy construction and features a wide range playing surface for multiple children to play together. It also comes with 3 durable plastic bins that can be stored underneath the table for quick and easy access to keep all the parts together. Made in Germany. Realistic details such as opening doors. Dump trucks are one of those toy vehicles that nearly every boy has owned at some time or another, but probably not like this one. This Bruder Mack Granite truck is made with high quality realistic components to last. It’s not your average plastic dump truck and won’t rust in the sandbox like metal. It’s made of heavy-duty plastic to play with indoors or outdoors. There are plenty of realistic features that make this truck unique including the replica engine when you open the cab. The doors open and close, the windows move, and the bed inclines and snaps into the upright position for unloading dirt, sand, or toys. Truly beautiful toy. Fully interactive will keep your child entertained. Exceptional attention to detail. Realistic design. A great combination with the dump truck if you’re planning on going with a theme is this flatbed truck that also comes with a backhoe. It’s made of the same high quality durable plastic as the Bruder Mack Granite truck to withstand abuse from outdoor play. There are many realistic functions featured on this model as well that mimic the real thing and they’re compatible with the Bruder man action figure, which can be purchased separately. Cool toy for boys who love trucks. Bruder toys are unlike any other. More of a collectible but designed to be played with and enjoyed. Science is a really interesting and cool subject for kids and there are many ways to get them excited about learning even if they’re not big science fans. If you’re looking to shy away from the typical toys nearly every boy has, you might want to look into these compelling finds. Comes with 52-piece accessory kit and hard-sided plastic ABS case. This compound microscope may be a great early introduction for curious minds. It looks similarly to the real microscopes professionals use in labs with actual functions that provide educational value. The rotating turret offers multiple magnifications from 120x to 1200x for up close views of microscopic objects. It uses LED and mirror illumination and has a built-in color wheel filter to provide enhanced views of objects or images. This Amscope microscope kit comes with various tools used to collect and observe different types of mediums for observation as well as brine shrimp eggs and hatchery. A hard plastic carrying case is also included to protect and store the microscope and accessories. This microscope is not a toy in the traditional meaning of the word but for a child with a curious mind this is certainly a cool toy for boys or girls. Learn more by reading our article that focuses on microscope for kids. Give your child a gift that allows them to explore the night sky. Beginner telescope for kids that’s lightweight, easy to set up. 76mm (3 inch) aperture reflector telescope is large enough to see the Moon, rings of Saturn, moons orbiting Jupiter, and even some brighter nebula’s. Stable altazimuth mount and tripod provides smooth motion in both altitude (up/down) and azimuth (left/right) axes of motion. The included EZ Finder II reflex sight makes finding celestial objects a breeze – once aligned, just place the red-dot on the object, and you’re ready to view! There is much to be discovered beyond the stars with a telescope. For the adventurist that is fascinated by the planets and stars, telescopes make really cool toys for boys, girls, and the entire family. The SpaceProbe 3 AZ reflector scope has a 3-inch diameter that allows ample light to enter for great views of the stars, bright planets and nebula’s, and the moon. It is equipped with an EZ Finder II reflex sight that enables stargazers to align the scope with celestial finds for easy viewing. The scope comes with a tripod and astronomy software to learn more about the stars and what to look for in the night sky. Take a tour of the human body from the inside out. Take anything that is squishy and somewhat unusual or what some may even consider to be gross and you’ll find most boys easily intrigued. This squishy human body has the weird and cool factor that most will find enjoyment from with an educational value to learn more about the human body. The model of the human body consists of 9 squishy organs, bones and muscle groups and comes with a book and additional accessories to remove parts and discover how the body works. It’s a fascinating learning tool that can spark interests in a potential career path for later. A very cool toy for boys and girls who are curious about the world around them, especially the human body. I would have loved this as a child. Toys designed for building and stacking are often encouraged early on in childhood to help steer creativity and development of essential motor skills. That being said, building things out of toys is just plain fun for boys and girls alike. These popular building toys are always a hit and you really can never have too many. Legos are iconic in the world of building blocks and have inspired tons of creative ideas for decades. Finding the right toy for a special boy can easily be obtained with Legos from early childhood to teens and even adults. There are many different varieties and Lego sets to choose from making it an easy go-to option for children in a wide range of ages. Lego Duplo sets are ideal for younger kids with large, easy-to-grasp blocks that are safe for toddlers and encourage active minds. Generic legos are extremely versatile with endless building possibilities but there are many themed sets that can target specific interests. Legos Minecraft sets make rather cool toys for boys that may be too young for the PC and mobile games. They can build, smash and rebuild over and over for hours of fun to the popular Minecraft game. Models are another great building toy for boys that already have plenty of blocks and legos. Unlike those building toys, a model provides a project for kids to follow a guide or instruction to complete the design. This is a cool toy for the Star Wars fanatics that lets you build and piece together a model of the Imperial AT-ACT cargo walker with battle sounds and a cockpit that lights up. When assembled the legs and head are multi positional. It’s easy to assemble and suitable for kids ages 8 and up. A wonderful and cool toy for any kid who loves Star Wars. What can be better than playing in the outdoors when you’re a kid? How about having cool toys to play with outdoors! These toys create the perfect invitation to step outside and have fun while getting in exercise and imaginative play. Fun, geometric design with real rock climbing hand grips. Age Range: Suitable for children ages 3-10 with a 600 lb. total weight capacity. Safety Zone Recommendation: 10-Foot product diameter when assembled with a 6-foot safety zone radius suggested. Sturdy Secure-Fastened Assembly: 1-Year Limited Warranty. The park is a great place where you will almost always find a jungle gym of some type made to climb and hang from. When you don’t live near a park, why not bring it to you with a climber play center. This dome climber offers every opportunity for a wild child to monkey around on from the heavy-duty steel and encourages hand-eye coordination. The powder-coated bars are weatherproof to resist rusting in the rain for long-lasting quality. Can carry someone up to 240 lbs. Safe and durable. Go anywhere. Can move someone up to 240 lbs. All EpikGo models are UL2272 Certified : Safe electrical system. Getting around on just two wheels has become much cooler with the newest trends in outdoor toys thanks to hoverboards. The EPIKGO self balancing scooter is one of the increasingly popular types of hoverboards that has surpassed safety standards. It has a 30% larger design than similar models to provide larger foot space for a more stable and secure ride. The all-terrain tires make it a cinch to ride over various types of terrain for the ideal performance. Balance boards aren’t just fun and trendy – they’re excellent trainers in strengthening balance skills. Cool toys for boys who love to be outside. Best suited for older children who are capable of balancing. Music can have a profound impact on kids. Introducing music early on can instill a lifelong passion that can carry with them. It has been proven that children who learn how to play music perform better academically in areas such as science and math. Many musical toys today can provide just the motivation a child needs to achieve fundamental milestones. Kids can make music and get exercise at the same time. This gigantic keyboard playmat is a fun and creative way to get young children excited and fascinated about learning piano. They’ll have fun and learn different key tones when they stomp on the mat to play different keys. It also features realistic sounds of 8 different musical instruments such as the guitar, saxophone, and violin to introduce them to different sounds. The mat measures almost 6 feet (70″) across and can handle multiple kids or even adults tapping across the keys. The volume can be adjusted to suit your preference and there’s an automatic power off feature to conserve the battery. Complete package includes everything an aspiring musician needs. This electronic keyboard is a real musical instrument that features teaching modes to encourage learning. The LCD screen provides beginners the fundamentals to learn the various keyboard sounds while experimenting around with the various rhythms and demo songs that are preprogrammed. It uses a power supply cord to save on batteries and also comes with a sturdy stand and stool. The keyboard can be adjusted to accommodate kids as well as adults. The keyboard also has a record and playback function to allow players to compose and listen to their own songs. A pair of headphones are also included so they can play for hours without disturbing anyone. 820 tones, 260 preset rhythms, 17 track sequencer, 32 channel mixer. For the experienced pianist that is familiar with a keyboard, this CTK7200 has many cool features to kick it up a notch. Players can experiment with a variety of genres from jazz to rock n’ roll with the 260 preset rhythms. It also features built-in effects for drawbar organ tones including reverb, 5 types of chorus effects, and DSP. It has audio recording capability to playback your own compilations and remixes. Many of us can agree that robots are pretty cool so it’s no wonder that robotic toys would earn a spot in this list of cool toys for boys. They can perform various functions that make them fun and entertaining from traditional-type robots to robotic pets that are all the fun and none of the work. A fun way to teach your kids how to program. A real robot for children ages 6 and up that is responsive to its world; your child can bring it to life with the free apps available on iOS and Android. Use your Apple or Android smart phone or tablet to program Dash to move, dance, light up, make sounds, avoid obstacles, and even react to their voice. Kids can program Dash to be the real robot pet, pal or sidekick of their dreams. Comes fully assembled, no batteries required. Comes with USB charging cable and two Building Brick Connectors to extend play with LEGO and LEGO Technic compatible bricks. This little interactive robot is a friendly pal for children ages 6 and up. With the compatible app for Apple or Android devices, you can bring this little guy to life by programming it to react to your child’s voice by following commands to dance, move, make sounds, light up, and get around obstacles. The app features easy-to-follow tutorials to easily program the robot. It comes with a USB charger cable as well as building brick connectors for additional function and capability. Learn more about this cool toy on the Make Wonder site. Personally, I feel educational toys are always a good choice over mindless toys. For a child, learning something new is fun. Watch this VIDEO below. You need to see it in action to appreciate how cool it is. The Cozmo SDK Beta is a connected robotics platform for makers, hobbyists, educators and researchers. More details at developer.anki.com. Includes : 1 Cozmo robot; 1 Charger; 3 Power Cubes. This is not your typical toy robot. Cozmo is a unique robot that loves to play games like Keep-away and has a developing personality. It comes with its own power cubes to play and share for endless games. This little robot also catches on and learns as he observes by picking up on emotions to become ‘self-aware’. An iOS or Android device is required to download the compatible app in order to unlock games and stay up to date with new ways to play. This little robot is a great companion for children to have a buddy that is always up for games. View more Cozmo videos on the Anki site. A cool toy for just about any child. Actually, this is a toy for adults as well. It’s very unique and captivating. Intelligent toy that is both engaging and fun. Comes in black and white. This is a smart dog that can be trained to obey commands and interact with kids. It comes with a SmartBand to recognize and follow its owner. It also comes with its own ball to play fetch and bring back. The robot dog also has a personality of its own as his behavior is reflected in how you respond to him. An app can be downloaded to take advantage of different new features. Chip comes with smart bed that it docks itself to automatically when the battery gets low to recharge itself. Cool toy for boys who want a pet without the responsibility. Your child will spend hours learning how to control this robotic arm. How neat is this robotic arm that opens and closes to function as a real gripper? It’s a great experiment to put together as a project and command for children ages 10 and up. Users can control the arm to carry out different commands using the controls to open and close the gripper. The base rotates 270 degrees, with a wrist rotation of 120 degrees and elbow range of motion of 300 degrees. It can grip objects within a horizontal reach of 12 inches and lift at a vertical reach of up to 16 inches. Additional software can be purchased to expand the arm’s capabilities. Educational Computer that Teaches programming and how a computer works. Beautiful kit that will challenge your child and teach them to program. In this modern day and age it’s quite common and acceptable for kids of all ages to own electronic toys. These can provide educational value and skill building on many different levels. Here are a couple of interesting electronic toys for your techie lover. Includes a 48-page lab book with step-by-step instructions. Here’s a really neat concept – an electronic lab that gives young users the ability to learn about electrical engineering as they build endless games and gadgets. It comes with a microprocessor module along with various other module systems to build and design multiple projects that can also be played with. Kids ages 8 and up can build fun, interactive games and sophisticated gadgets using the manual included to help them learn about engineering and circuitry. Fantastic toy for girls and boys. This will challenge your child in ways that will speed up their development. Worth every penny! A classic toy that has endured over the years. I had one as a kid. Comes with a built-in speaker, a 7-segment LED display, two fully integrated circuits, and rotary controls. Requires six (6) “AA” batteries (not included). This learning center is loaded with various functions for 130 different experiments that teach the basic principles on electricity, physics and magnetism. It comes with an illustrated manual and uses simple methods with spring and wire connections for various projects that can be achieved including logic circuits, an LED strobe light, timer, and so much more. You can easily move from one project to the next with the jumper wires so there’s no soldering required. This kit is recommended for ages 10 to 15. Cool toy for boys or girls who are curious about how things work and like to build things. Not all toys and games have to be sophisticated or require batteries to engage and entertain even the most energetic little boys. Some of the best cool toys for boys are the ones that you must have someone to accompany you with such as games. These classic toy games are sure to bring out the competitive nature boys so often possess for engaging fun. Simple fun for young kids. I loved this when I was growing up. Rock ‘Em Sock ‘Em Robots deliver hard-hitting fun for over 40 years! You may have played this game as a child and it’s still widely popular. This classic 2-player game lets players battle it out with these hard-hitting robots until one player knocks the other’s block off. It features jaw-jolting action and sounds for an epic battle. Let sibling rivalry box it out in a fun match against each other as they race to deliver the right hit to their opponents’ spring-loaded head causing it to pop up. Over 43 Quintillion (that’s 43 with 18 zeros) moves. Classic toy. The infamous Rubik’s Cube is one that has been around for ages and is still around stumping its takers as they attempt to get all six color sides of the cube to match up. This simple little cube has billions of color combinations but there’s only one solution for the ultimate brain-teaser. Skilled Rubik’s players have taken the game to the next level by challenging others in a battle of speed to see who can be the first to get all 6 sides to match up. This puzzling cube makes a great companion to have in the car for long road trips. Perfect game to play with friends and family. This classic game requires skill and strategy as you stack them up and take turns pulling out a block one by one without bringing the tower down. The Jenga classic game consists of 54 hardwood blocks that you stack up accordingly. There’s a stacking sleeve included to give you instruction on proper stacking for the ultimate game of gravity-defying action and suspense. The game can be played alone or with a group of people. Video games have their very own world of die-hard fans that live for the game. For the avid gamer, this actually makes gift buying fairly easy with billions of games and accessories available for the most popular game consoles to give players some variety from their standard favorites. Most boys love video games. Endless fun. The PlayStation 4 is the latest in its line of game consoles by and lets gamers get immersed in adventurous journeys with other players in their community for interactive play between players in real time. The PS4 console has a suspend mode when you press the power button to allow players to resume their previously saved games without having a load time. The updated game system enables gamers to share their epic gaming moments with others to see. High definition graphics and the innovative Wii U GamePad controller. The Nintendo Wii U game brings a lot to the table when it comes to video games. This gaming console brings players into a new world of gaming where video games, TV, movies, and the web all come together. The GamePad is a handheld controller that features a touchscreen in addition to directional buttons for different applications that can be used in combination with the main display (your TV) or independently from the tv to play games. It is compatible with nearly all Wii games as the original Wii with online functionality so you can play all of your favorites and then some. Finding cool toys for boys isn’t a difficult task once you key into what piques their interests. There are endless options for every child that provide value and entertainment. From the builders to the science enthusiasts and outdoor adventurers or anywhere in between, there is a perfect toy to fit their needs.